Infertility is a growing problem in the world. Researchers from the University of Nottingham aimed to find out just how prevalent infertility is based on age, socioeconomic status and geographic area. The study was published in the journal Human Reproduction. Women between 15 and 49 years of age were included in the study. In all, researchers gathered information from more than 1.7 million women who participated in a general practice program that delivered health information to The Health Improvement Network. 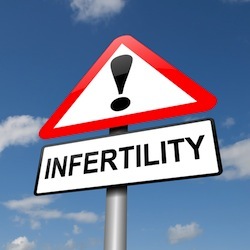 Researchers pulled information about fertility medications and treatment from the health records and estimated infertility rates based on the information. Infertility rates were highest among women between 30 and 34 years of age. About 11 in 1,000 patients were treated for infertility. The lowest infertility rates were reported by women in the 15 to 19 and 45 to 49 age groups. Researchers also noted low socioeconomic status resulted in increased reports of infertility for women 25 and younger, but as women reached the 25 to 39 age group reports of infertility lessened. Conclusion: There is clearly a connection between socioeconomic status and reported issues of infertility, but researchers noted not all infertile women report problems to a general physician, so the numbers are not completely accurate. Source: Dhalwani NN, Fiaschi L, West J, Tata LJ. Occurrence of fertility problems presenting to primary care: population-level estimates of clinical burden and socioeconomic inequalities across the UK. Hum Reprod. 2013 Jan 12.